Sadly we have another death to report in hip-hop today as rap artist Mac Miller (real name Malcolm James McCormick) was found dead in his California home of an apparent overdose. McCormick was only 26 years old at the time of his death. 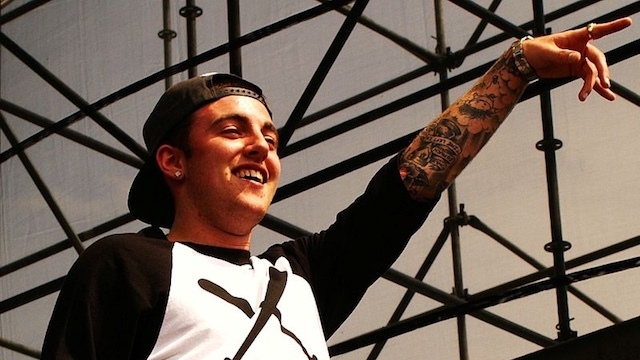 Mac Miller started rapping in back in the 2000's, at which time he was known by the moniker EZ Mac. He had already released his first mixtape "But My Mackin' Ain't Easy" by the age of 15 and joined rap group The Ill Spoken. His true ascent to fame came after he signed with a label founded in his hometown of Pittsburgh - Rostrum Records. Taking advantage of the nascent promise of YouTube, Miller's video for "Donald Trump" seems eerily prescient in hindsight. When his first studio album came out the song was notable by its absence, although Miller's profile continued to rise with the popularity of the "Party on 5th Ave." single which sampled heavily from 45 King's "900 Number" of Ed Lover dance fame. Miller's star was clearly on the rise. Despite a tendency toward rivalry between Philadelphia and Pittsburgh, the Philadelphia Flyers actually took Mac Miller's pre-Trump single "Knock Knock" and turned it into a recognizable anthem for the team and legions of fans. As I once noted in a 2013 review there was more to Mac Miller than meets the eye but sadly his death curtails the potential to show us even more of what he was capable of. My condolences to his family, friends, and the hip-hop community as a whole. Maybe at some point we will finally address the epidemic of rap and rock superstars who overdose at a young age, but I've been following the music scene since the 1980's and nothing ever seems to change.